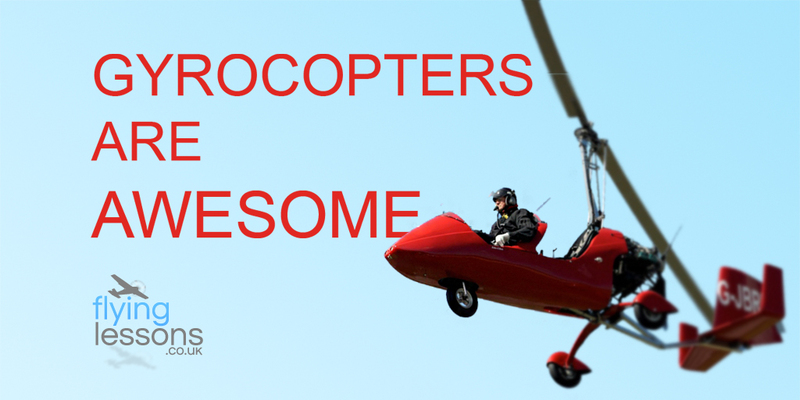 Home » Ground School » Flying Machines » Top 5 Videos that Prove Gyrocopters are Awesome! Top 5 Videos that Prove Gyrocopters are Awesome! Although you’ve probably heard the word ‘gyrocopter’ before, many of us have no idea what one looks like, let alone how they work. They may be familiar to some as the aircraft-of-choice for Dwarves or Gnomes in various popular fantasy role-playing games, but gyrocopters (also known as ‘gyroplanes’, ‘autogyros’ or ‘rotaplanes’) have never really broken into the mainstream. Well, here at FlyingLessons.co.uk we think that’s a bit of a travesty. We’re determined to show the world that gyrocopters are misunderstood and to prove that they are every bit as cool as their better-known counterparts. So, without further ado (and in no particular order), here are our pick of the top 5 videos that show why Gyrocopters are awesome! 1. They’ve been around for nearly a century! They might look like distinctly modern aircraft, but in fact the first gyrocopter ever built was created in 1923 by Juan de la Cierva. Designed as a solution to the problem of most aircraft’s inability to fly safely at low speed, he called his invention Autogiro. In this archive footage from 1931, courtesy of British Pathé, we learn how this amazing invention flies, and can land safely and gracefully, even with it’s engines switched off! 2. They’re not afraid of anything! Okay, so this one is more about the pilot than the actual gyrocopter. In this video from The Young Turks, we meet Doug Hughes, a postman from Florida who landed his gyroplane outside the White House as part of a political protest. We certainly don’t recommend trying this at home! But whether or not you agree with his politics or actions, there’s no denying this gyro-pilot has nerves of steel! When you think of stunt flying, your first thought is probably something like the RAF Red Arrows display team. Admittedly, they’re pretty unbeatable when it comes to speed, synchronization and showmanship. But don’t count the gyrocopter out too soon. This video by Wojciech Stasiak shows how, thanks to that spinning rotor, the autogyro can pull off some incredible manoeuvres with finesse. Don’t miss the amazingly graceful un-powered landing at the end! 4. They are safe at amazingly low altitudes! One of the things that make gyrocopters unique is their ability to skirt the ground safely over long distances. Unlike aeroplanes which must maintain high speed to stay airborne, these graceful gizmos can travel relatively slowly and smoothly, even at altitudes of only a few feet. In this video, by shawn Adams, we see this amazing skill in action. Jump to 1:16 to see the talented pilot keeping pace with a motorcyclist! 5. And finally… They’re just plain inspiring! In our final pick, from Discovery Canada, we meet Norman Surplus. In August 2015, Norman became the first person to successfully pilot a gyrocopter around the globe. His amazing journey started in Northern Ireland in 2010, when he set out in Roxy, his bright yellow gyro, for a trip that would take home all over the world. Though his feat was nearly scuppered when Russian authorities halted his flight for nearly 3 years, eventually he made it back to the UK. As a cancer survivor, Norman wanted to show the world that there is life and hope after chemotherapy – he certainly achieved that and much more! So, that’s your lot. What did you think of our list? Are there any more autogyro videos you think we need to see? Let us know in the comments below! 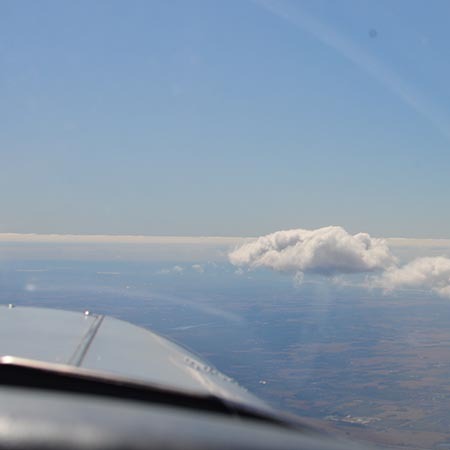 Happy flying. 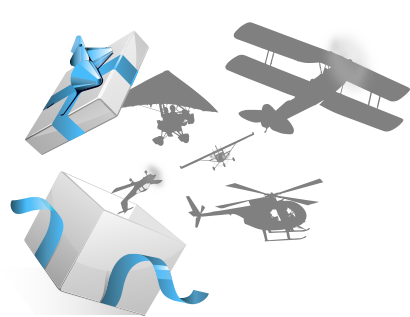 Inspired by our Gyroplane videos? Why not have a go yourself? 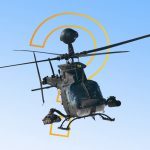 How does a Helicopter Hover? 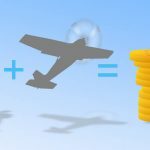 How Much Does a Private Pilot's Licence Cost? 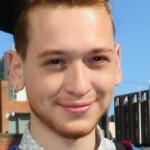 Jake trained as an artist and designer in Manchester and now spends most of his time attached to a computer keeping FlyingLessons.co.uk running smoothly. In his spare time he likes hiking up mountains, exploring art galleries and, of course, all things aviation. I really enjoy the blog.. Really Cool. Im obliged for the post. Much thanks 🙂 Great. or did you hire someone to make it happen for you personally? say thanks a lot for an interesting post and a all round exciting blog. Please do keep up the awesome blog.